It's all about the journey. If there was ever a time to pack it up and start the life you’ve always imagined, that time is now. Voyagers were inspired by the open road - with a spirit of adventure. Made in America. Adventure in the unknown. 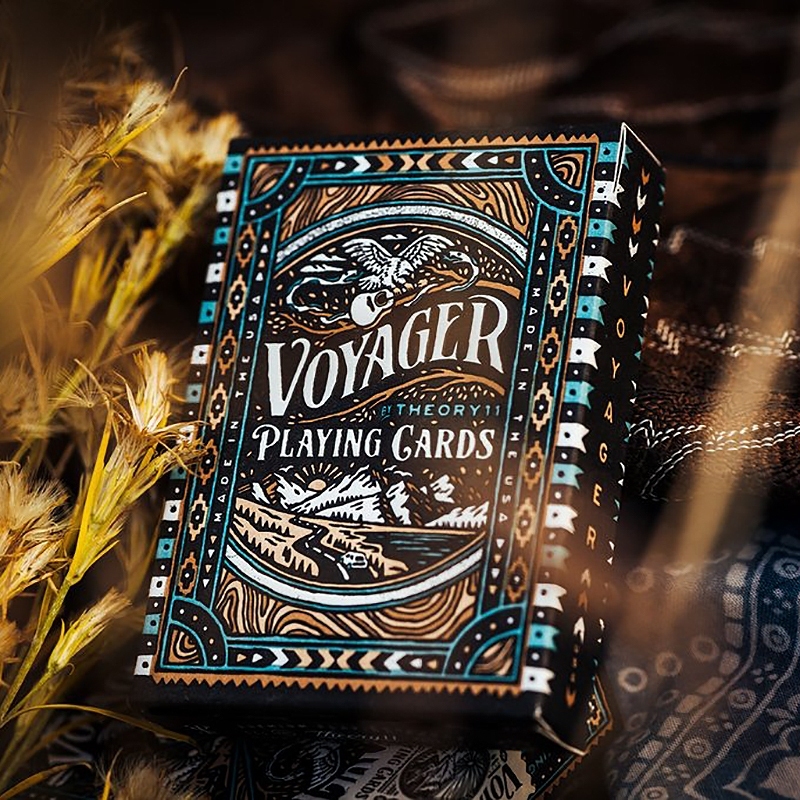 With breathtaking, intricate custom art - the Aces, Jokers, back design, and tuck case were designed from the ground up with nomadic elements from the open road. Antique letterpress printing. The tuck case packaging is handcrafted using antique, letterpress machines dating back to the late 1930's. Printed on FSC-certified paper derived from sustainable forests, using vegetable based inks and starch based laminates. Illustrated by Joshua Noom in Fort Myers, Florida. • The cards are poker size.